How did you first begin on your path to becoming a Coach for entrepreneurs? I have been working in personal development for over 20 years. As a trainer and coach for the last 15 years and before that, my training as a holistic therapist began was when I was in my late teens. Back then I was working for a large corporate based in the United States and wanted somewhere to put my energies that was more focused on wellbeing to counteract the pressure of work, and get my grey cells going a little. I’d always been fascinated by biology and psychology and as I studied more I realised there was so much to learn and explore about the body mind connection and that’s where it started. 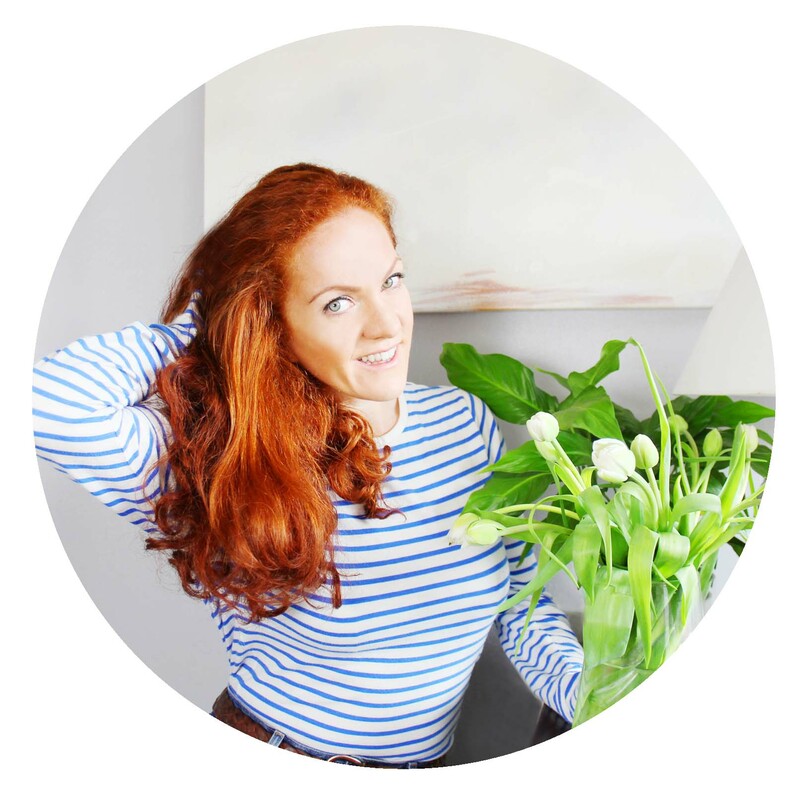 I began a small independent practice and built on my training over the years, ran workshops, retreats, one-to-one body work and counselling whilst still doing the more corporate day job in sales support, marketing, and later branding and events. When I left corporate life, I worked extensively in team development, outdoor learning and executive coaching before bringing it all together in the work I do now. Could you tell us a little about your book? Everything you need to run a thriving business and lead an inspiring life is inside you. The Empowered Entrepreneur is a book written to help reveal that brilliance, help you make it real, remind you of what you’re really capable of and let your awesomeness loose on the world. 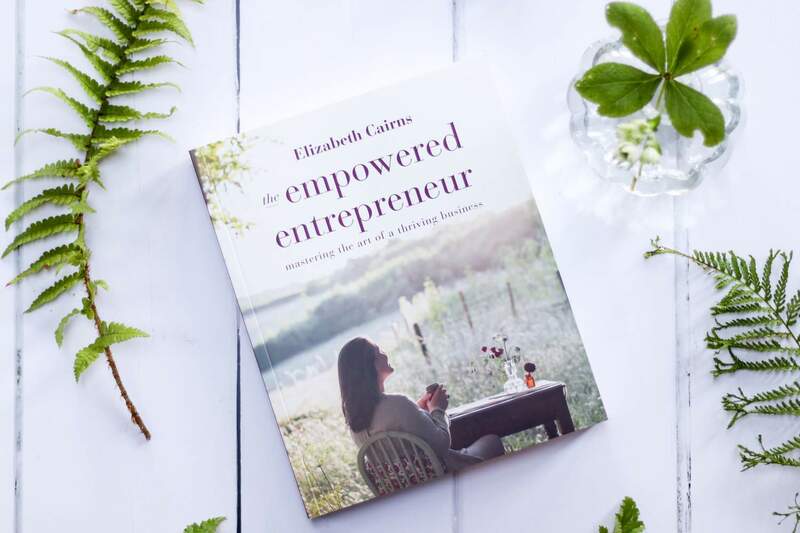 The Empowered Entrepreneur is a book that helps you explore the many facets of running a business in a way that helps you put your talents, passion, vitality and creativity at the heart of everything you do. Its focus is on you, the entrepreneur at the heart of your business, how to create a way of working and living that enables you to thrive, stay inspired and add value. I wanted to write something to help readers take the power and control back in their life and their work and to enable them to do more of what they love. I think ultimately, we all want to live and work with more meaning and I hope that the book shows people how they might do that. What are the top three issues you see entrepreneurs currently facing and has this changed over your 20 years as a Coach? Most people I speak to are overwhelmed, if not by everything they are bombarded with on a daily basis from the media, clients or family, then with what they are hoping to achieve in their business and the magnitude of it. Many people feel like they are time poor and get stuck in a cycle of overwork, overwhelm, inertia. The need for true authenticity has become paramount. Clarity of niche and individual purpose and how that is expressed in business is calling people to ask the deeper questions about what they stand for and what they uniquely have to say. People are wondering how much of themselves to show, particularly as social media platforms make it increasingly easier for us to be broadcasting 24/7. Many people struggle with where they end, and their business starts, and all this is something I was keen to explore throughout the book. With increasing numbers of people working from home in isolation and the rise of social media, the need for real connection has arisen and many entrepreneurs find this challenging. It’s a universal need too, I think. We see it in buying trends with more people paying for experiences and gatherings now than ever before and the rise in online and offline communities. The way we talk about Tribes – leading them and being part of them has developed much more in the last 5 to 10 years. Making real lasting connections with not only those who can support us, but those clients we serve, are frequent challenges for many in business today. When I began coaching, I was doing a lot more work with large organisations and corporates, with executive teams and delivery teams so my focus was on leadership development, team development and culture change and of course we didn’t have social media in those days. At an organisational level the themes emerging then were much more around transparency, motivation, effective communication, influence and productivity. Larger organisations and small businesses alike now are realising that their strength often lies in their people and in forging real connections with consumers. It is the authentic brands that will survive as consumers become more discerning and loyalty fluxes. Could you offer any pearls of advice or wisdom for any aspiring entrepreneurs just starting out? Go for it...whatever people tell you, if you have an idea that you are passionate about that you think will make a meaningful difference, and you are prepared to work to get it don’t wait around. There will always be people to tell you it won’t work or that someone else is already doing it, if you focus too much on that you’ll never do anything. There’s very little risk in trying just know that it takes time and a fair bit of experimentation and effort and in the long run it can be better to grow slow. Stay connected: to yourself, your own innate wisdom and what matters most, to others, those who support you inspire you and believe in the direction you are headed, and to nature. It holds so much more than many people realise. A close connection to the natural world will provide, inspiration, solace, healing and a sense of place in the world that few other things can provide. Put vitality first. Focus on raising and maintaining your vitality before everything else. Before the work of work begins, look at what helps you come alive, what makes you feel good, what nurtures mind body and soul and do that. When you are in the right state of mind and body, the quality of your work, your decisions and the opportunities that will open up for you will be better. Know what you stand for and where your boundaries lie. The ability to say yes to the right things and no to the wrong things is key to empowered living. Knowing what impact you want to make, what you stand for and against and where you are prepared to compromise or not brings a great deal of clarity, especially when the going gets tough. The art of delivering the empowered ‘no’ is something I spend a fair few pages on in the book as I think it’s a skill that many people struggle with but that we can all benefit from. Remember you always have choice. This really is the essence of being empowered. Whatever your circumstances, the knowledge that you have choice and can create options for yourself is often the difference that makes the difference. Things are rarely set in stone, and even when it feels like you are between a rock and a hard place there is often a way out with a little creative thinking and an empowered ‘choice-full’ mindset. This goes along with giving yourself the freedom to abandon the plan when you need to, to make mistakes and get it wrong, to shift direction or to adopt an attitude of experimentation. What does this year look like for you? what’s in the pipeline?- a second book perhaps? This year is mainly focused on client work. I have a number of projects with very ambitious client teams in the UK and abroad who are launching new global brands or new programmes for the first world. I’m working on repositioning a couple of my UK clients in their market place to honour more of what they do best and to help them articulate that with their messaging and I have my ongoing coaching with individual business owners which is always inspiring. I am working on another book but it’s for a client and the focus is on the relationship between physical activity and success in young people. The aim is to have that finished before the end of the year. 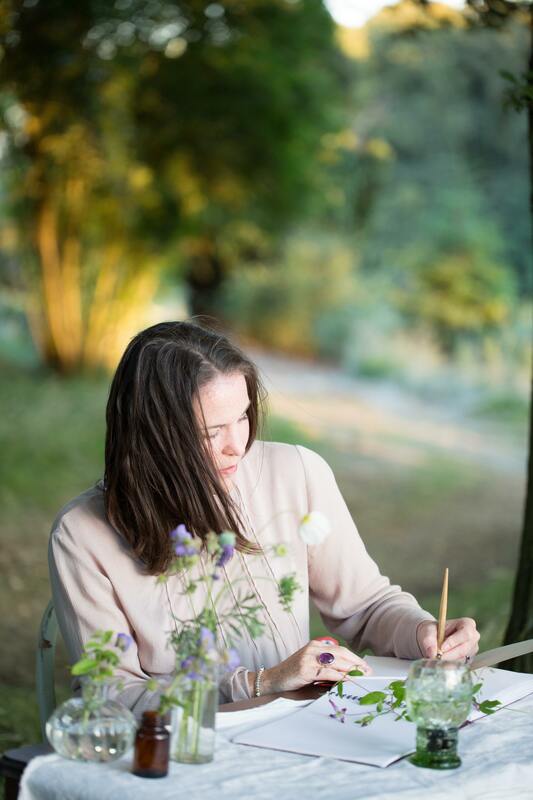 Vision and Vitality, a short but powerful retreat for entrepreneurs in the Cotswolds is happening in March. I will be inviting participants to explore the profound questions of why they are here, what change they seek to make for whom. We will clarify how that translates into a clear vision and direction for the year ahead that leaves them intrinsically motivated to succeed because of the deeper meaning and connection to their work we have fostered. 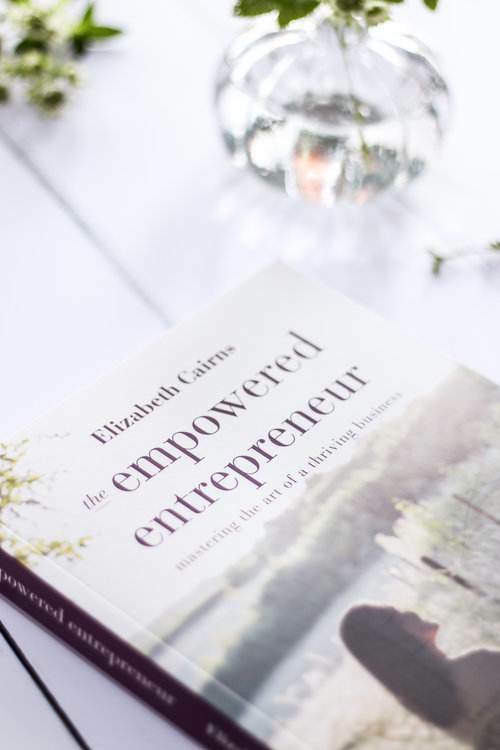 I’m planning an empowered entrepreneur book event in May this year which is still taking shape but will be an opportunity to gather with like other inspiring like minds and share some wisdom on how we can have a truly empowered 2019. As for the rest of the year I’m excited to see how it will unfold and will be pinning down a few more goals in early spring when I find it easiest to forward plan. For more empowered living head over to Elizabeth’s website.